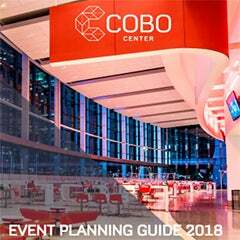 DETROIT April 10, 2018 -- Claude Molinari, general manager of SMG/Cobo Center, today announced the Cobo Center operations team have taken janitorial services in-house. The new department was created just prior to the North American International Auto Show (NAIAS) and is headed by Cedric Turnbore, Cobo Center director of operations. SMG directors from across the country, who are well acquainted with convention center housekeeping operations, came to Cobo Center to assist during NAIAS. Working closely with the Cobo crew in the new housekeeping department, the SMG directors advised and mentored daily. Traditionally, with cleaning company vendors in convention centers, the process of reporting problems to housekeeping and getting them corrected meant having the problems documented by two different companies, often with two different sets of protocols and procedures. One of the greatest efficiencies created is having Cobo Center security work cooperatively with housekeeping to identify problems for immediate response and correction. Cobo Security supervisors take pictures of cleaning problems, texts them to dispatch, who distributes them to housekeeping supervisors on duty. 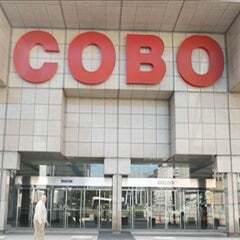 Another efficiency achieved is the synergy between Cobo Center housekeeping and production services departments. There are now three supervisors from each department overseeing the work of both departments. Three original production services supervisors were given promotions and additional compensation to form the alliance, and all six supervisors are trained to assure high-level communication between departments and that event set-ups are timely and well presented. 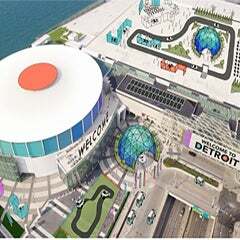 Part of the mission of the Detroit Regional Convention Facility Authority (DRCFA), the governing body of Cobo Center, is to maximize positive economic impact, creating region-wide jobs and expanding business opportunities for the benefit of business stakeholders and the local community.